Judith McLean will share with us her extensive experience in the performing arts, events and education areas working as an educator, director, executive coach and company director. 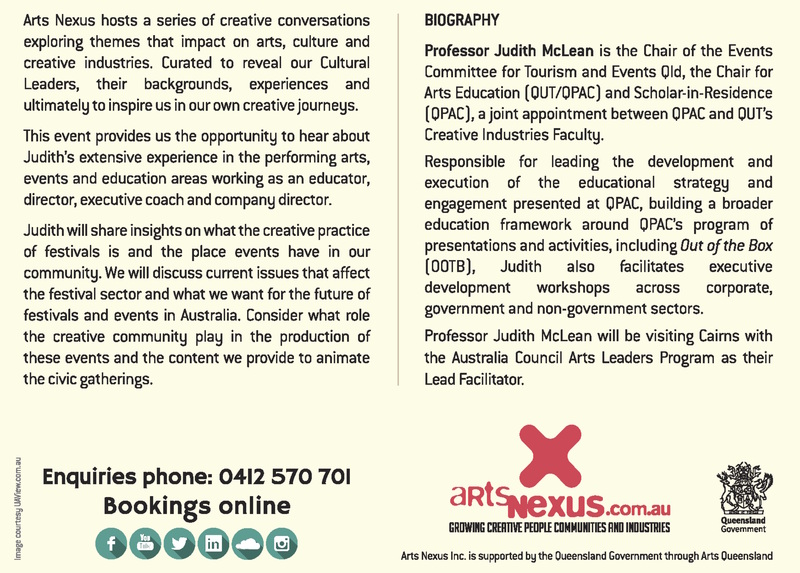 Professor Judith McLean is currently Chair Arts Education (QUT/QPAC) and Scholar-in-Residence (QPAC), a joint appointment between QPAC and QUT’s Creative Industries Faculty. Judith is responsible for leading the development and execution of the educational strategy and engagement presented at QPAC; building a broader education framework around QPAC’s program of presentations and activities, including Out of the Box (OOTB); and also leads executive development programs across corporate, government and non-government sectors. 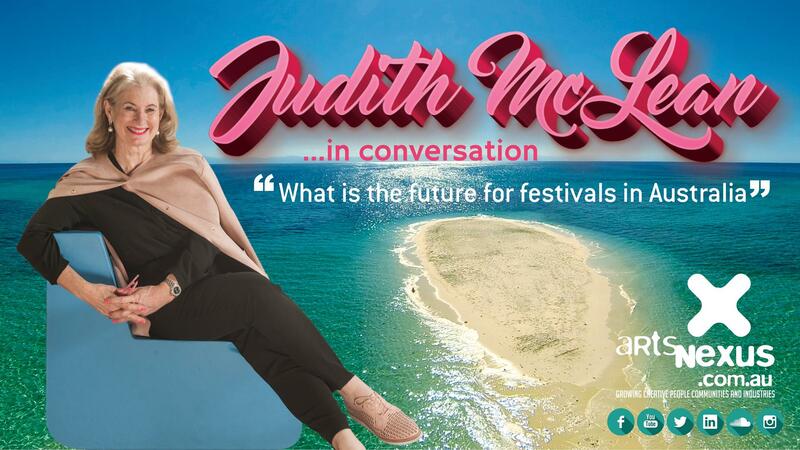 Judith is also Chair of the Events Committee for Tourism and Events QLD and has many insights into what role Festivals and Events play in our community. We will talk about current issues that impact on the sector and what we want for the future of festivals in Australia. Consider what role the creative community play in the production of these events and the content we provide to animate the civic gatherings.